Above: Desk stand gift for parent. Challenge: Student wanted to produce original gift to give to two members of her family. 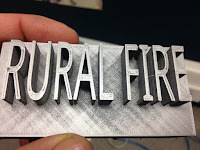 Background: These designs were created by the student in her first attemps at 3D Printing, without input from others. 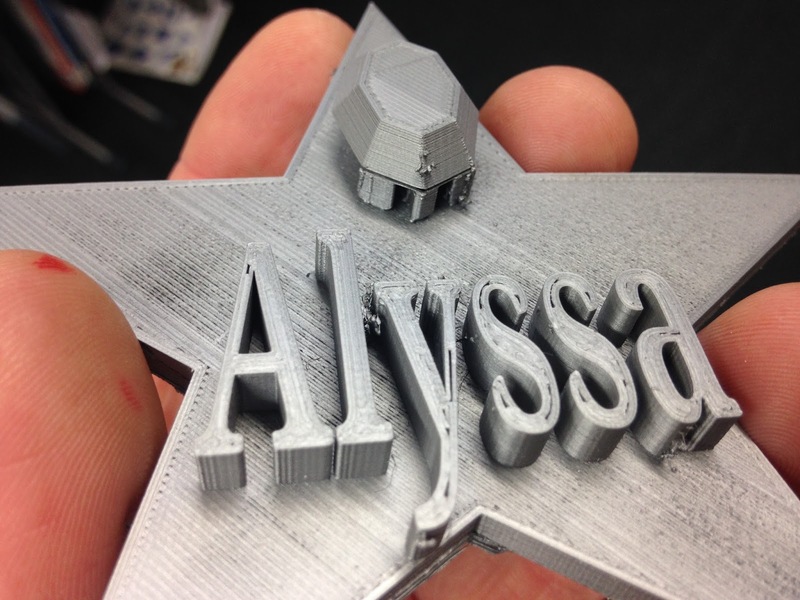 The student had been part of the class producing 'Christmas' themed decorations last year however this was the first opportunity for her to print individualised projects. Level of Difficulty: Low - these designs were created with basic default settings from Tinkercad, and required a basic design. Above: 'Alyssa' star gift with rafting clearly visible on gem (top). 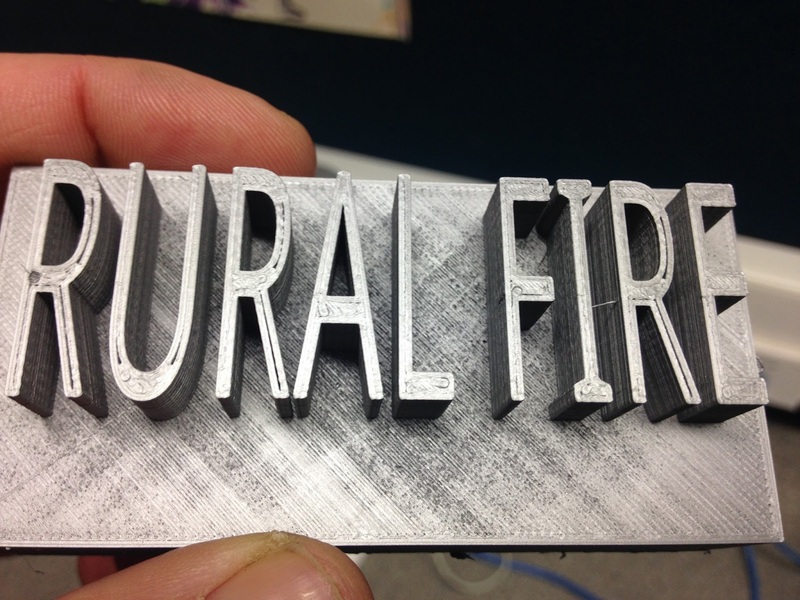 Size: The 'rural fire' desk stand was a block design that had a depth of 2cm, a length of 10cm and a height of 8cm. The 'Alyssa' star design was 15cm across, with a depth of 1cm. Timeframe: Combined eight hours for both projects. Both were printed as a 'fast print'. Issues: 'Alyssa' star design lifted on the base and had to be superglued, this was an issue related to the filament, not the design. Both designs were basic but produced the required result. Process: Tinkercad with the design all created from the basic interface. Converted to Cura for printing on the Ultimaker 2+. What we would do differently: This task has been detailed before, or variations of it. It has proven suitable as an introductory print that could be easily designed, printed successfully by the student who was extremely pleased with the results.